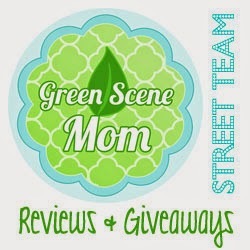 Today's great review and giveaway is coming from Zdaisy. Zdaisy was launched by two stay at home moms in the spring of 2006. After years of buying pacifier clips and baby blankets as gifts and for their own children, Zdaisy was born. Lorri Zander and Brooke Collins set out to make baby items that are unique in design and presentation. Zdaisy started with a wider variety of items and has now streamlined to their best sellers in the baby market and are now focusing on adding more organic and eco-friendly products to their website. I was sent their Organic Binkie Bungee which retails for $16.00. Their customer service is outstanding! They message you back quickly with questions. The packaging is so cute and is self explanatory on how to use it. The materials are so soft and very high quality. You can feel good knowing that you are using organic materials near your baby's face and body. This Bungee is 100% organic cotton fabric and what is great is that it is machine washable. ultra soothing for baby. Z. Daisy has gone one step further towards preserving our environment by using recycled cereal boxes as packaging for the organic Binkie Bungees as well. Now you can love the environment and love your babyʼs Binkie Bungee too! If this company was not great enough they also give back to charities. Lorri and Brooke have alot to be thankful in life. They are especially thankful for their own children and have a heart for those children around the world who go without the basic necessities everyday. This deep love for children led Lorri and her husband to adopt 2 boys from Liberia, Africa in 2007 making Lorri a proud mother of 5. Brook and Lorri have chosen to donate a percentage of Z.Daisy profits to Living Water International (www.water.cc. Each time they give they are reminded of the many blessings in their own lives and hope others less fortunate will feel equally blessed. Want to win a Zdaisy Binkie Bungee of your choice? wow- great product. Love the 100% organic aspect. This is a great gift idea for new babies. I am going to keep this in my gift idea file for those future newborns in my life. That is so cute and makes me wish I still had an infant! I am new follower from the Monday Mingle Blog Hop. If you have a moment stop by www.messforless.net and say hi! I would love to win because it is so hard to find a pacifer clip that is good quality.